The Mountfield HP465R is a top of the range, high specification mower. This real roller model has an easy to start, premium quality engine and will leave a striped effect finish to your lawn at an affordable price. Powered by a Honda GCV135 four stroke petrol engine, this mower is hand propelled. Grass cuttings are collected into a 55 litre capacity quality fabric collector. 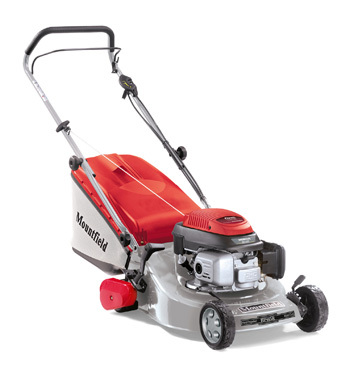 The Mountfield HP465R will not only give your lawn the classic striped finish, but will also provide increased stability and up to the edge cutting around flower beds and paths. Sorry, we have no stock of this mower at prsenr, please contact us on 01603 738635 or 01362 699888 for details of alternatives.